At the LEARNING AND THERAPY CORNER we would like to get to know you and your child so that together, we can develop a unique, customized treatment/learning program to get your child through those rough spots. Let us help your child develop the skills they need to thrive socially and academically. Our team of enthusiastic, dedicated, and highly-trained professionals offers the best in speech-language pathology, occupational therapy, physical therapy, reading programs, psychological services, and music therapy. As therapists we strive to provide personal and individualized therapy services to children, adolescents, and adults with a wide variety of developmental, educational, and functional needs. 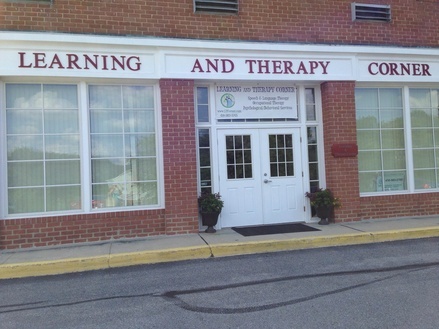 Each therapist is trained in a variety of treatment approaches and programs. Our unique treatment programs offer a motivating and structured format that will ultimately lead to successful outcomes. At the LEARNING AND THERAPY CORNER, we believe in working as a team with clients, parents, health care providers, and school staff to plan and implement therapy services to children through adulthood. Therapy should be motivating, engaging, challenging, and most of all FUN!